This clothing labels pack has stick on and iron on labels! You'll be amazed at how easy it is to use our laundry safe clothing labels. Apply the stick on small round labels to garment care tags & brand stamps. Put the iron on labels on any clothing item. Great when you need a permanent labeling solution and for tagless items. 56 - Stick On Small Round Clothing Labels - .8" x .8"
18 - Small Square Iron On Labels - 1" x 1"
18 - Small Rectangle Iron On Labels - 2.0" x 0.5"
Saves you 34% vs. buying the same labels separately! 56 Stick On Small Round Clothing Labels 0.8" x 0.8"
18 Iron On Small Square Labels 1 " x 1"
18 Iron On Small Rectangle Labels 2.0" x 0.5"
Our Clothing Labels Multi-Pack includes laminated stick on labels and iron on labels for clothing. 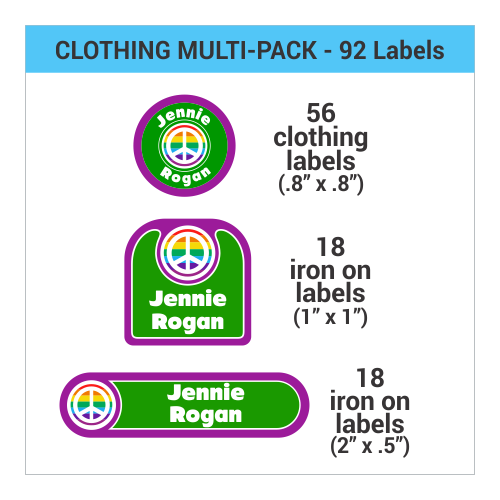 This clothing label pack should have all your labeling needs covered! 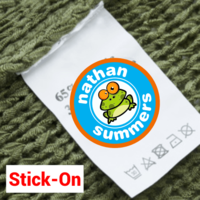 Our stick on clothing labels are long lasting and our iron on clothing labels are permanent. Buy clothing labels online with IdentaMe Labels! Need iron on labels instead? 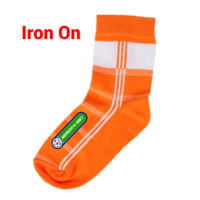 Check out our Iron On Multi-Pack! 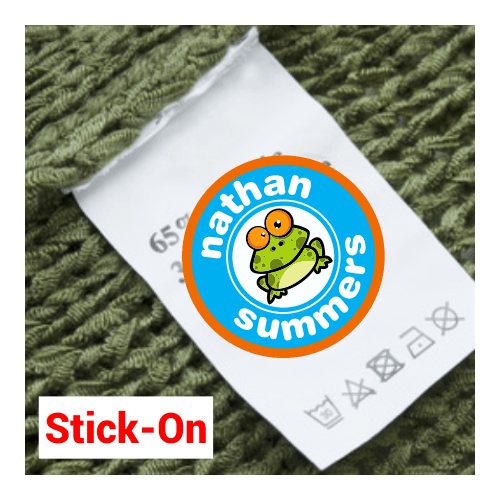 The stick-on labels in our Clothing Labels Multi-Pack are waterproof, laundry and dishwasher safe. 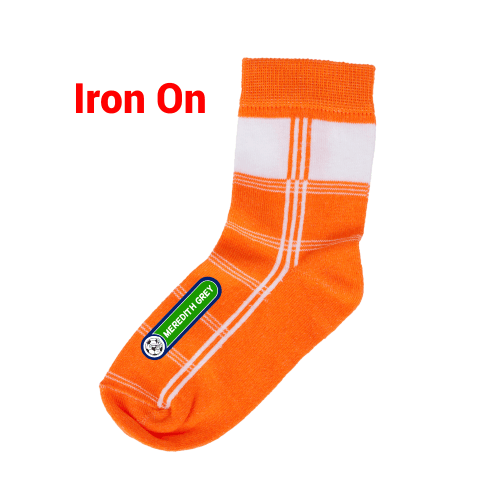 The iron on labels are laundry-safe, waterproof and permanent. Use the stick-on clothing labels on garment care tags and brand stamps. Apply iron on labels to any cotton, polyester or lycra surface. Make sure surface is clean and dry, then just peel and stick.